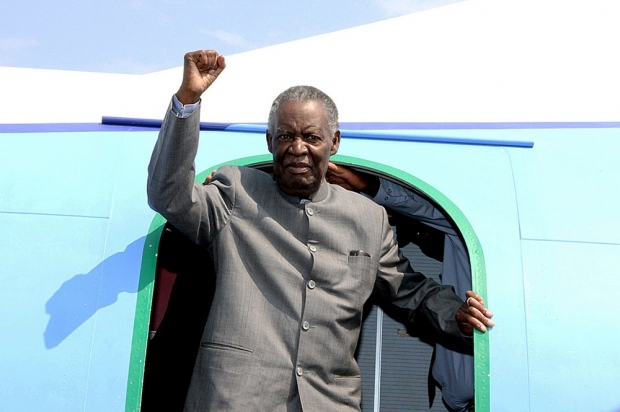 Zambian President Michael Sata deplanes at Solwezi Airport before addressing supporters at an election campaign meeting on September 10, 2014. He died last month on October 28, 2014. The national election is set to take place in January. Few figures defined China's early engagement more than Zambia's late president Michael Sata. As as opposition leader, the man known as the "King Cobra" was among Beijing's most vocal critics in Zambia but later, once in power, became an avid supporter of China's investment in Zambia. He was a shrewd politician who viewed the presence of the Chinese in his country as a useful political lever that could be used to bludgeon his opponents be they domestic or foreign. Few outsider analysts knew Sata better than researcher Solange Guo Chatelard who spent years following his rise to power and his interactions with the Chinese. She joins us this week to discuss his legacy, particularly as it relates to his dealings with China.